I know that the people who read the brewery/beer stuff don’t often give a hoot about the other stuff CTMQ is all about. You know, like… literally everything else. Anyway, after ten years of writing CTMQ, I decided to start “completing” towns. I’m guessing you have no clue what that means, and that’s fine. Here, look… here’s the CTMQ Guide to Manchester. Crazy, right? Right. Crazier is that I’ve done everything in town. Here, look… here’s the CTMQ Manchester completion celebration! – My very first! But herein lies the problem. I knew at the time of my town completion that there were at least two, maybe three breweries-to-be in Manchester. As it turns out, as I write this 16 months after “completion,” there were four. Three of which are now operational. Well, with this visit to Labyrinth, I’ve “completed” Manchester again. Let’s celebrate with a couple beers! Labyrinth is in The Mills. 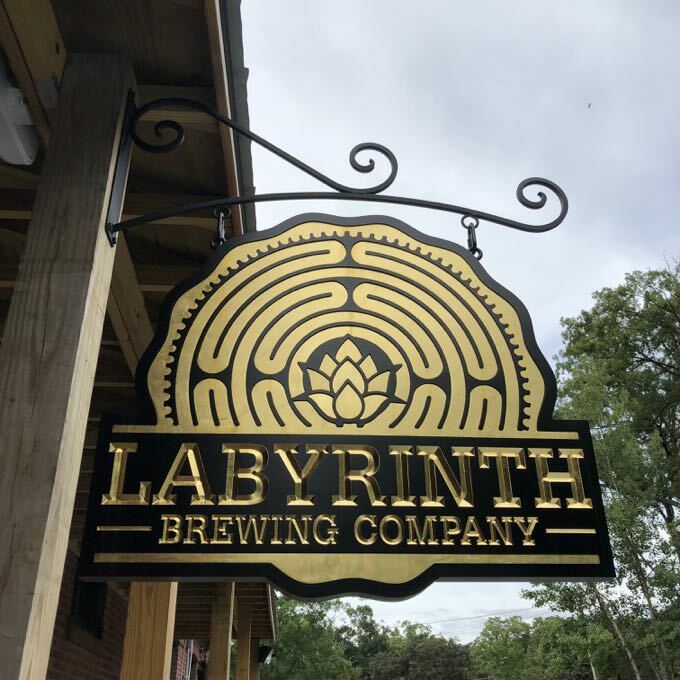 I used to live in the Mills back in the day and… Labyrinth might be the absolute perfect name for a brewery located in The Mills. 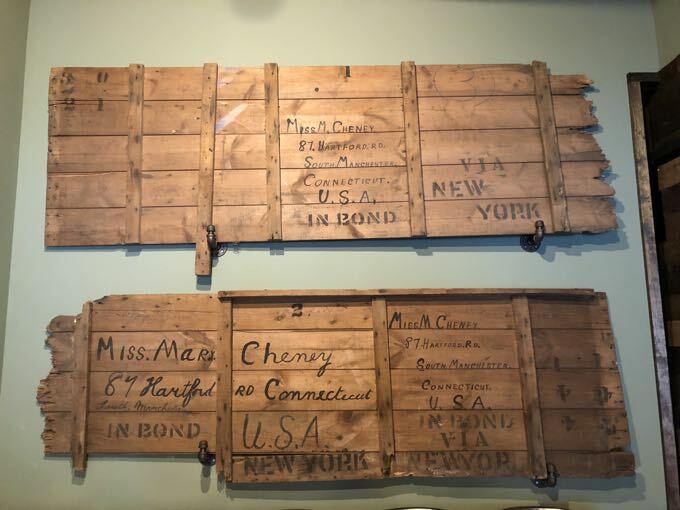 I almost just began linking all the cool historical stuff here; mostly related to the Cheney Brothers and how they built a factory town and how there are six museums within a mile of this brewery and how it’s a National Historic Landmark District and… I stopped myself because I remembered this is a brewery page. I found a full parking lot, but there was still space to sit at the bar and elsewhere. That’s not to say it wasn’t crowded; it was. In fact, quite crowded. Being located in The Mills, home to thousnds(?) of 20-and 30-somethings with perhaps a few bucks of disposable income is a rather nice set-up to say the least. 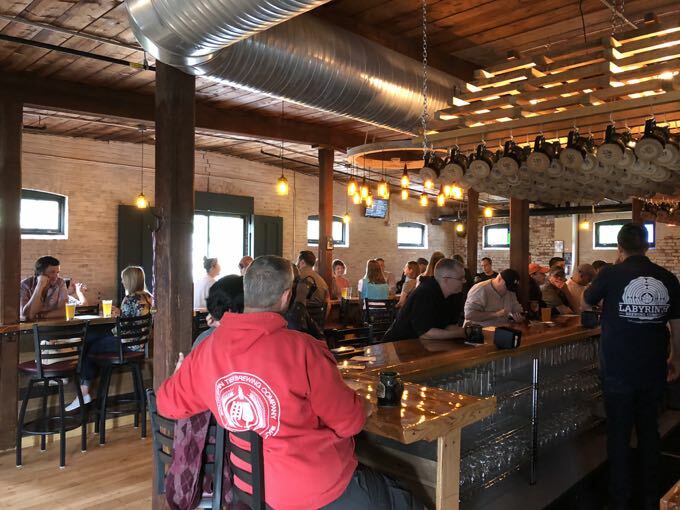 In fact, it may be one of the best brewery locations in the state when you think about it. Which I hadn’t thought about until writing that sentence. Brilliant. I am thinking back to my year at The Mills… 1998/99… having hiked the Appalachian Trail and then getting dumped by my girlfriend of 3 or 4 years for quite valid reasons and making that transition from bartender/long-distance hiker to actual office work… yeah, having a brewery next to my apartment building would have been quite a thing. Back then, we actually – GASP! – drove into Hartford to do stuff at night! Way too much personal info there. Sorry. At least it’s not like I said that I think that the dream-like movie “Labyrinth” with giant Jim Henson Puppets and David Bowie is a great movie simply because Jennifer Connelly is in it and therefore I’ll never not watch it sort of like how Career Opportunities was one of the greatest movies ever and I met that dude who played the lead and all I cared to ask him about was whether Jennifer Connelly was as beautiful as I think she is and he got mad at me… oddly enough, it was while bartending during the time I lived at the Mills because his brother was the lead singer in a band and… oh yeah. 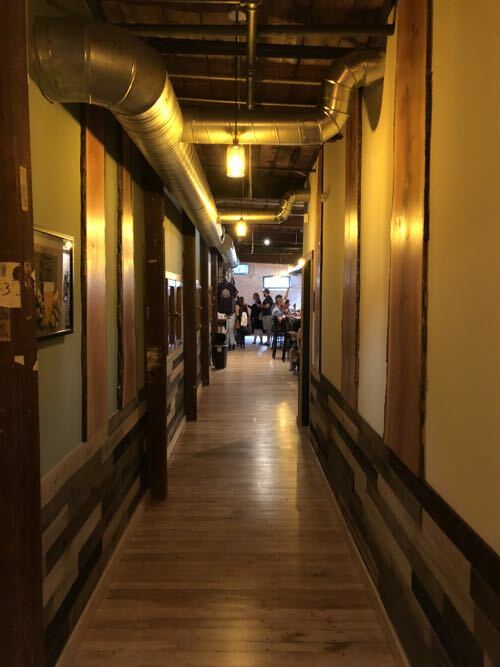 Labyrinth brewery. Speaking of bands, the music on shuffle during my visit took me back. Right back to those years leading up to bartending and hiking and living in The Mills. It was a pure 90’s rock mix, but not the Candlebox crap they play on “90’s weekends” on Radio 104 these days. A lot of work went into converting this old mill into a comfortable, inviting, and open-yet-cozy space. It’s woodsy, but not corny. 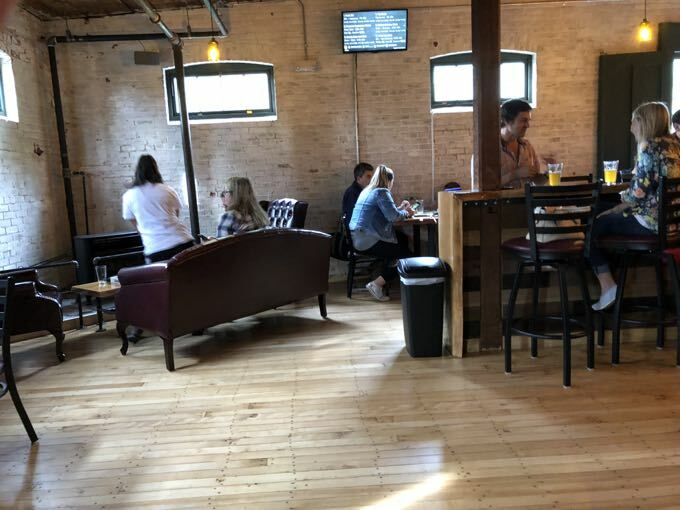 There are couches and overstuffed chairs… but also a true bar experience as well. 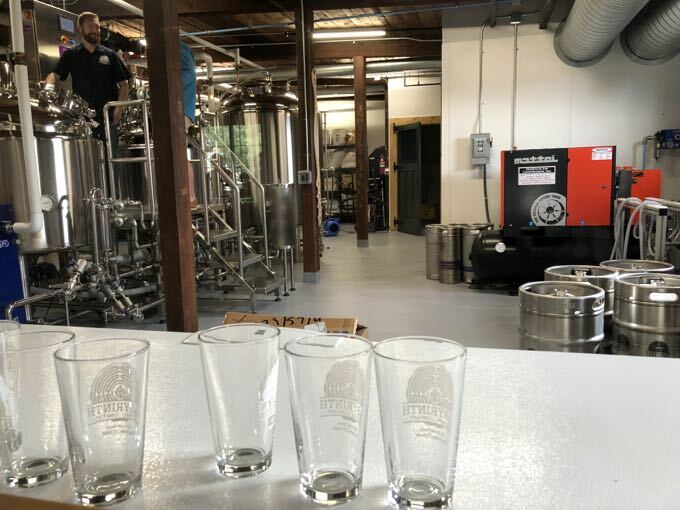 They’ve done the thing that every brewery used to do back in the day: Windows into the brewspace so those who care to see gleaming tanks can do so. I don’t care about that, but overall, I was impressed. Many families were there playing board games and keeping their little ones entertained. This marks the 200th time out of 200 times that I’ve been in a brewery with kids who were well-behaved. I’ll let you know when I see one being a jerk. 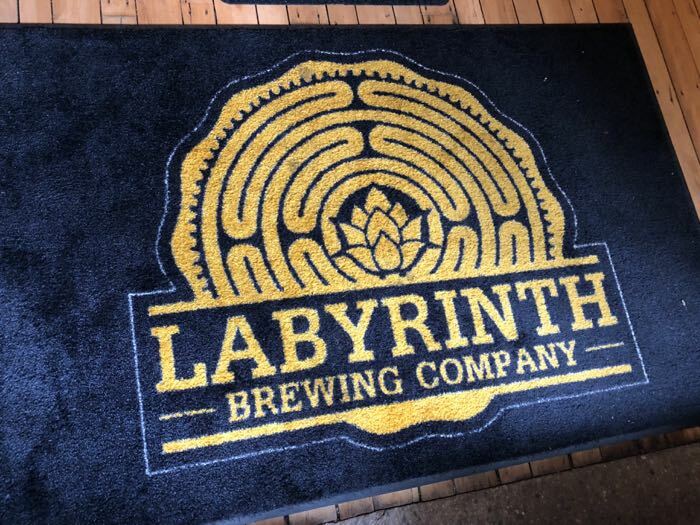 Labyrinth was borne from the brains of a couple homebrewers in a garage and… yeah. That story again. The one where their friends really liked their beers and … blah, blah, blah. It’s not a bad story, but it’s become pretty much the ONLY story. One which I’ve become inured to and cynical about. And so with that in mind, let’s have a couple beers. I started with the Siren Song Lime Gose. I figured that it would be a good test of their skills. Most beers with citrus in the name – no matter the style – are stupid beers these days. Way too much fruit and sugar and whatever. Hats off to Labyrinth here; a subtle gose with just the right level of lime:beeriness ratio. I really liked this beer, though the 5.4% was way too high of an ABV for the style. 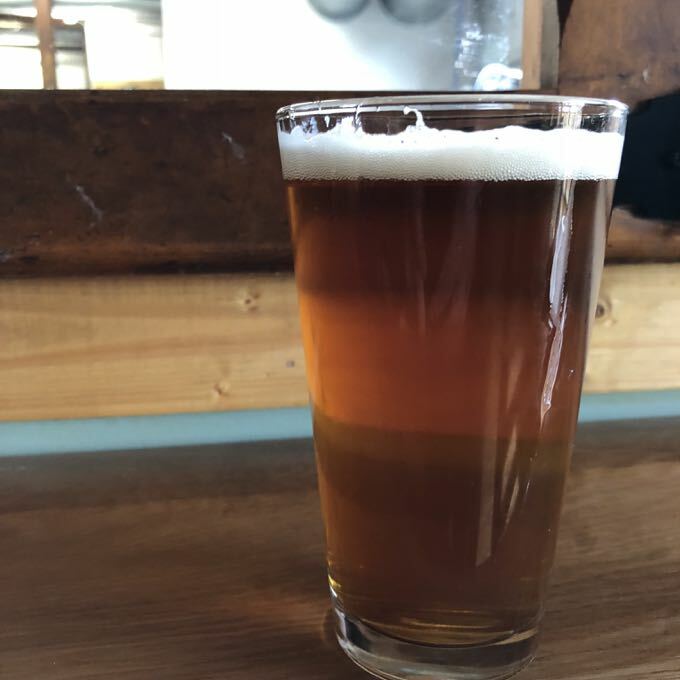 Chill that ABV out, Labyrinthsters, and it would be a near-perfect beer. On to the Pan’s IPA. Get it? Pan’s Labyrinth? 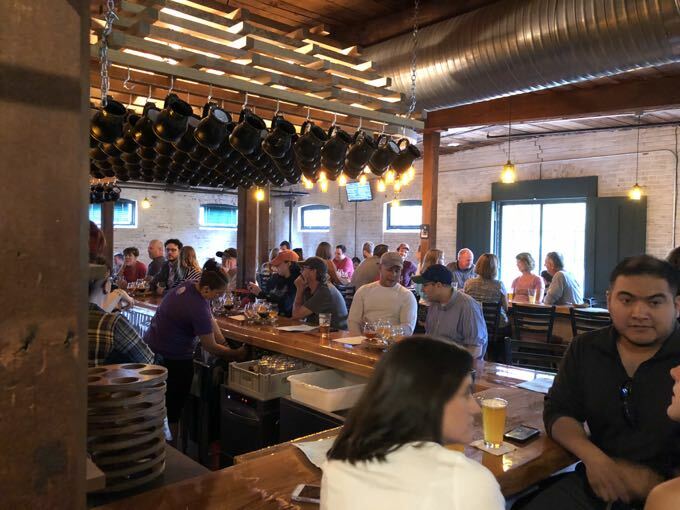 Actually, if I may… every brewery opens with “their thing.” Those “things” never last very long, but every brewery thinks “their thing” is the best “thing.” Noble Jay was going to be 100% lagers. DuVig was going to be 100% session beers. Shebeen was going to be almost 100% crappy stunt beer. Armada was going to be 100% large format bottles of traditional midwestern styles. Relic was going to be 100% farmhouse and Belgain. You get the point. Labyrinth started out of the gate with beers all named after sci-fi, mythological… “stuff.” Pan’s Labyrinth (badass and underrated movie), Wyvern (a winged-dragon), Siren’s Song I’ll assume you know, Erebus (in Greek mythology, the personification of darkness which is actually pretty damn awesome). 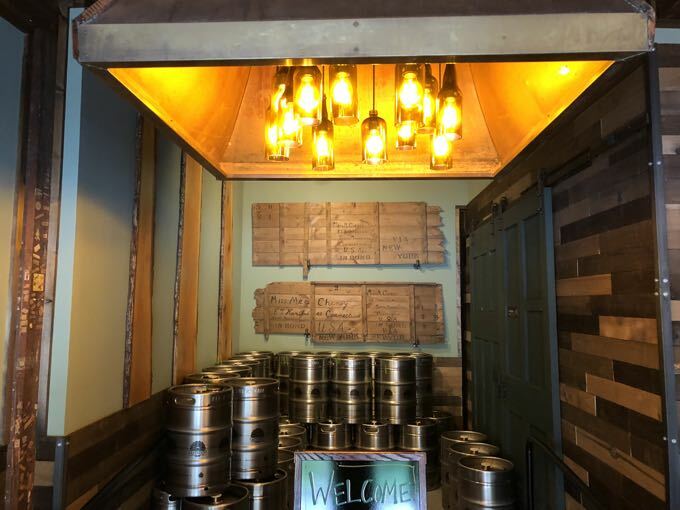 They also have “Maize” which is their cream ale (contains flaked corn, aka maize, for that cream ale sweetness) and is named “maize” at a brewery named “Labyrinth” and… you get it. Turbo Love Juice is a nod to one of the greatest videos of all time! Judas Priest’s “Turbo Lover!” Back when Rob Halford had hair and green screens were just invented! So good. Oh yeah, the Pan’s IPA (pictured above) is good. The description promised “old school,” pine, and bitterness like how IPA’s were way back in the olde timey days of 4 years ago. They didn’t go all in with pure throwback, as I think brewers are just afraid to make piney, bitter IPA’s anymore. Note to all y’all brewers: Just do it. Seriously. Maybe not for distribution, but it’ll sell at your brewery. Especially if you’re playing Mudhoney’s “Touch Me I’m Sick” followed by Janes’ “Mountain Song”. Us old guys like that style. But the house IPA was pretty good as it was. 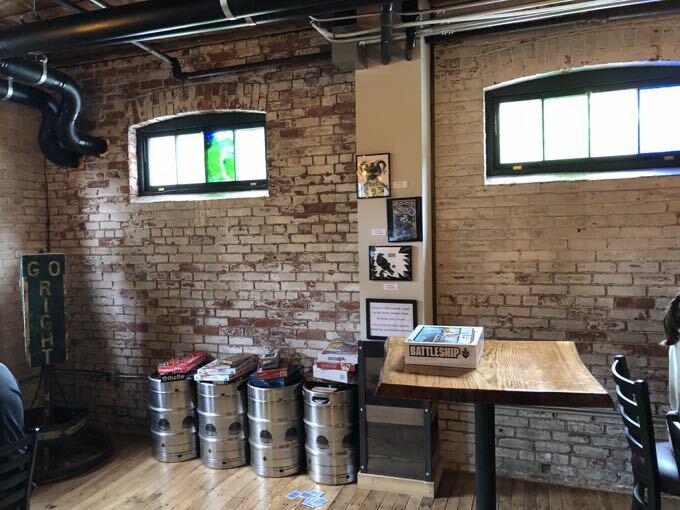 Labyrinth should weather any future storm based on location alone, but the two beers I had and the vibe seem to hit the right notes as well.